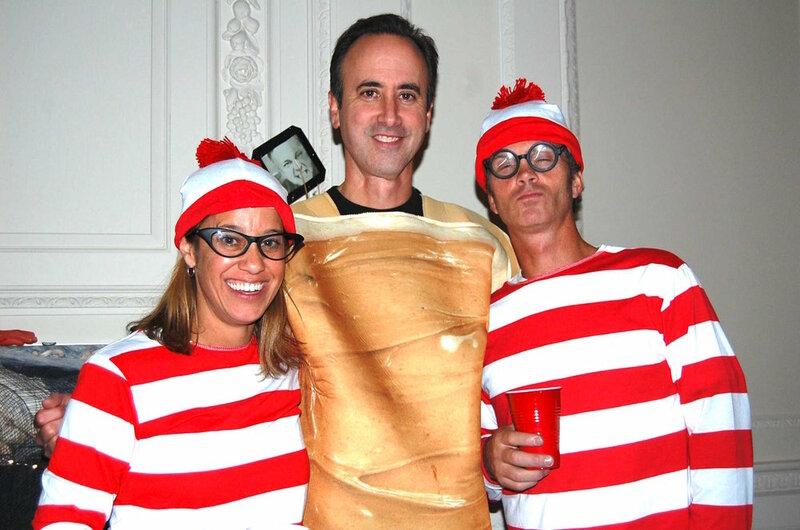 When we started the Edfund Halloween Party a few years ago we had no idea what to expect. Would anyone go? Would they wear costumes? Would it be fun? Would it even cover its costs? Well, we went forward with it despite the risks involved. And were blown away by the enthusiastic response from Hamilton-Wenham parents. Blown away. Now with this year's October 28th event and our fourth year, it's time to share with you the 5 reasons to go to the Edfund Halloween Party. #1: You won't believe the costumes. #2: There are conversation pieces everywhere you look. Sort of related to #2, but these amazing costumes make socializing so much easier. Making fun of your friends and guessing the costumes of others make for quick ice breaking. No one ever stops talking at this event. #3: The dance floor is like that Star Wars bar. Once the music begins, everyone lets loose. But an interesting thing happens as you hop around to "Twist And Shout." You look around and realize just how surreal it is to see a Charlie Brown, Napoleon Dynamite, and a Waldo (from "Where's Waldo?") all dancing to the beat. It's an image that will stay with you, trust us. #4: You'll arrive thinking you're staying for an hour and suddenly it's midnight. Mark our words, this will happen to many of you. Maybe you're not really a costume party person or just don't feel the energy that particular night, but you bought the tickets and want to at least make an appearance. Ha! The Edfund Halloween Party is like a time machine. If you arrive with no energy, not to worry. You'll gain plenty in the joy of the costumes, the good mood everyone is in being out for the night, and the good your doing for the Edfund. Time flies when you're having fun. And it flies even faster at this event. #5: You're improving your children's education. 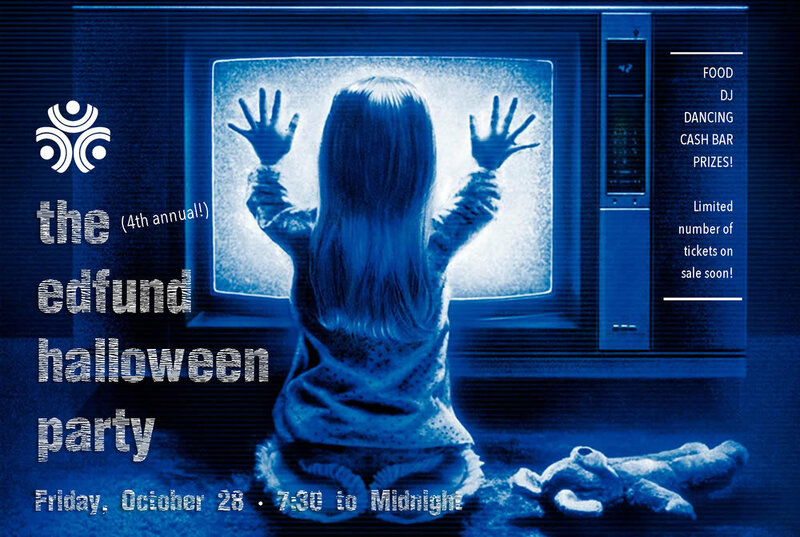 While the Halloween Party is not designed to be a big fund raiser - it's really just the kick-off to our annual appeal - it does cover its costs and raises some money for Hamilton-Wenham education. But more importantly the Edfund Halloween Party is a celebration of the importance of the Edfund in our public schools. As you know, our mantra is, "We grant advantage," and we can't grant anything without your enthusiastic support every year. So being there and hearing our president Josh Holbrook's words about our mission (don't worry, it'll be short) at this party, learning about us, talking to board members through scary masks, and sharing your enthusiasm for the Edfund is a great reason to go. Save the date: Friday, October 28, 2016. There you have it. Five reasons to go to the Edfund Halloween Party. Tickets will be available soon online. Stay tuned to our Facebook Page for announcements on that. For now, just save the date. Now, what are we going to dress up as?